Google AdWords has quickly become one of the most important website traffic streams for millions of businesses worldwide. Campaigns can be live in a matter of minutes – putting your business almost immediately in front of your potential customers. In addition to driving more traffic to your website, it also gives you near immediate feedback on your marketing, so you can make executive decisions in real-time. If you are developing a strong web presence, having a highly targeted, optimized AdWords account can deliver a great ROI. When properly managed, traffic is cheaper with superior targeting. If you want to learn how to dominate your competitors in this highly competitive space, get hold of us today. Overpaying for clicks that aren’t targeted on the ‘money’ keywords. Using default broad match keyword methods that usually make you spend up to 30% more than you should. Not developing an effective negative keyword strategy required to filter out irrelevant impressions, which drive up your costs. 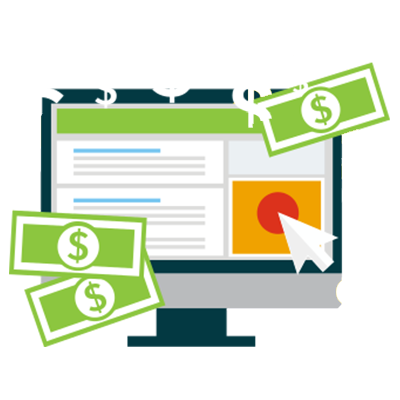 Having un-targeted landing pages, which Google will now penalize by charging you more per click. Ineffective ads & extensions, leading to less people clicking on your ads. Lack of effective campaign & ad group structure, resulting in inefficient time management of your campaign. Using our advanced Google AdWords management program, we will put you on top of your industry and keep you there. With our strategies, that include our SEO service, you too will be able to claim the lion’s share of the quality traffic and leave your competitors fighting over the scraps. Generating more enquiries & sales – with greater traffic and higher quality visitors, you can be sure to increase revenue. Constant & Never-Ending Improvement – we make sure we’re always testing and improving your campaigns. Thorough Keyword Research – we use specialist keyword research tools to make sure you aren’t missing out on any opportunities to bring in better clicks for lower cost! Regular reporting – so you know what is happening with your account and you aren’t locked in to any service delivery contracts. Strategic Analysis and Feedback – we’ll tell you exactly which creative medium is working so you can ensure the most effective copywriting is being used in your overall marketing strategy. Leading AdWords strategies: Having an agency team with experience that goes back to the early days of Google AdWords, means you’ll have access to our knowledge and experience across multiple industries. You’ll also benefit from our evolving successful processes we develop in working with many clients. Proven record of results: Our team has delivered phenomenal results to hundreds of clients. Our advanced AdWords Management program has been specifically designed to target Google’s algorithm and allow you to dominate your market. Full access and reporting: You receive a monthly report that details exactly what’s been done on your account . You can check what’s happening at any time of the day or night. Your access is never restricted.